Handmade items are great, aren't they? Not only is buying from Etsy shops a great way to support small businesses- many of whom are run by moms like myself, but it's also a great way to find super fun, unique items for your home and family. Personally, homemade children and baby items are my absolute favorites. During my pregnancy, I had the opportunity to work with some great Etsy shop owners to bring you some fun reviews on baby items and today for the Handmade from the Heart again, I'm excited to again share with you one of my absolute favorites, Bixby Basil. 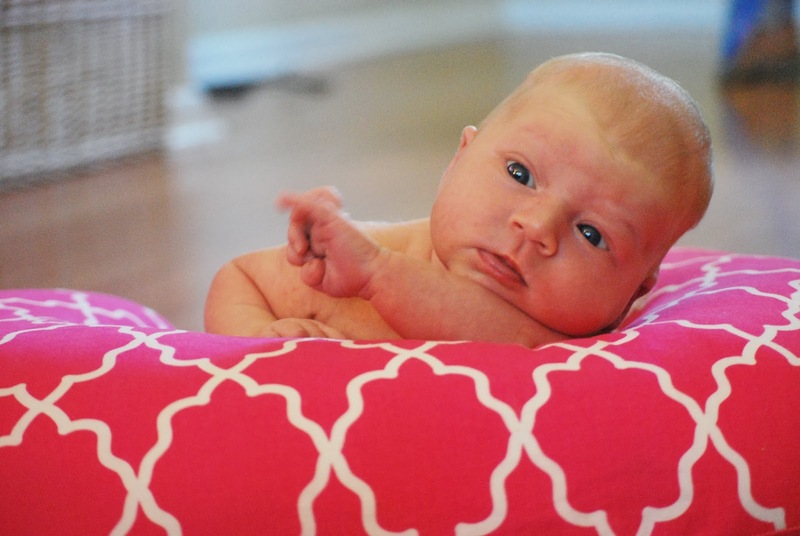 You can read my original review of her adorable Boppy Pillow Covers here. 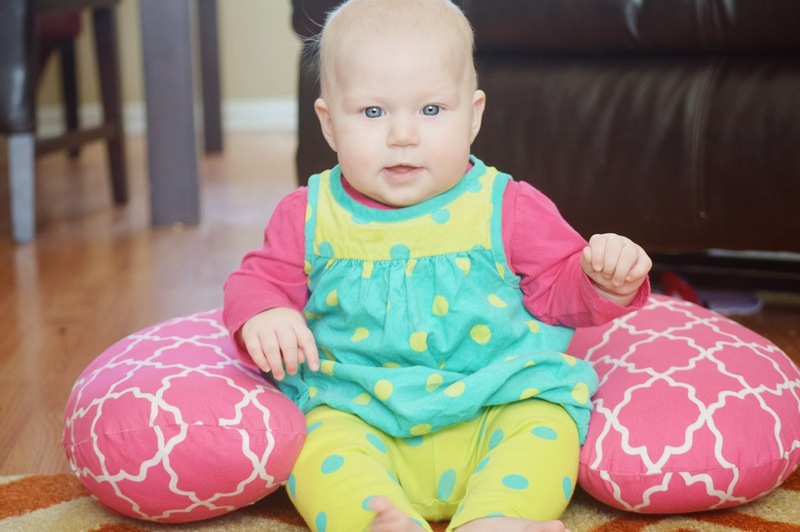 At six months old, we are still using our boppy cover and still loving the look, and it's held up wonderfully! But boppy covers are not the only fantastic handmade goodies available from Bixby Basil- you can also find Boppy lounger covers, changing pad covers, nursing covers, blankets and so much more! Don't have a little one? There are great items for the grownups too! And one very lucky winner is going to win a $25 gift code to buy whatever they'd like from the shop! So Easy Being Green, Viva Veltoro, the Blogging Mamas Network, and the Handmade from the Heart participating bloggers are not responsible for sponsors who do not fulfill prize obligations.Disclosure: I received the product mentioned above in exchange for my honest review. All thoughts and opinions are 100% my own. If I win, I might get the Salmon Starfish Beach House Pillow Cover. 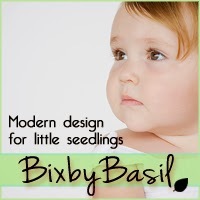 I really like the Aqua Bird and Minky Bobby Cover from Bixby Basil, it is very cute!! I would get the teal cupcake boppy cover. I love the yellow and gray bird designer pillow cover. I'd get a Custom Minky Dot Baby Blanket in purple. I would love the Hungry Caterpillar Polka Dot Boppy Cover. I love the Unisex Map Boppy Cover, Pirate Nursery Designer Print Nursing Cover! I'd get the Guitar Contour Changing Pad Cover. i like the retro candy shop boppy. I think the Retro Candy Shop Boppy cover is to die for! Too too too cute. I might put it toward the Edgar Allen Poe raven and lime minky blanket! I love that they do clothing labels!!! I would choose the washable personalized clothing labels for some things I make. If I won I would like the madras Boppy cover. Wait maybe a couple of those cute pillows. I would choose the Amy Butler Print and Minky Dot Boppy Cover,! I would get the Tangelo Orange Dot Pillow Cover.